The weather in New England is often as unpredictable as the people who live here. Even the local weatherman isn’t always certain how the day will go. That’s why it’s always in your best interest to be prepared for all circumstances. You don’t want to find yourself in the middle of a cold and wet day without a heater to keep you warm. Moreover, you certainly don’t want to be stuck in the middle of a storm without any working pipes. Regular plumbing and heating maintenance is the key to staying prepared. S.A.A.B. Plumbing and Heating has been providing local maintenance and repair services in Ashland, MA since 2012. They provide preventive maintenance, scheduled repairs, same day services, and 24/7 emergency repairs to countless New England residents. With their help, you can be assured that you’ll be prepared for whatever crazy weather comes your way. Don’t wait until its too late, check out some of our quick tips on key items to check and easy tips to keep in mind this fall as your preparing your heating system for the upcoming winter. It’s impossible to enjoy a relaxing shower when your water heater doesn’t want to cooperate. Whether the water is too hot, not hot at all, or completely unpredictable; S.A.A.B. Plumbing and Heating can address the situation and find the problem. Most hot water heater repairs can be handled in a very short time period. The best way to avoid these serious malfunctions is to have the hot water heater inspected and serviced periodically. A blocked drain might seem like a small problem, but it can have some very big consequences. Blocked drains can lead to dirty water, leaks, mold, and extremely foul odors. If you notice that your water is building up in the sinks or showers, then it is likely a sign of a clogged drain and it needs the attention of a professional plumbing service. Don’t procrastinate because ignoring this small repair could lead to very expensive damage. The average air conditioner is designed to have a long lifespan, but they tend to encounter a number of problems along the way. If your home relies on a traditional duct system, then you may have noticed a decrease in airflow around the home. This can be the result of old filters, debris in the ducts, or a more severe problem with the AC itself. Regularly scheduled maintenance can help you avoid most of these problems before they have time to impact your air flow. New England winters are notoriously long and harsh. The last thing you want is to be stuck in a severe snow storm without a working heater. If your heater is already having problems, then now is the time to schedule a repair. And even if it’s not, then now is an excellent time for preventative maintenance. Simple and affordable maintenance can help you avoid the need for serious repairs in the middle of winter. 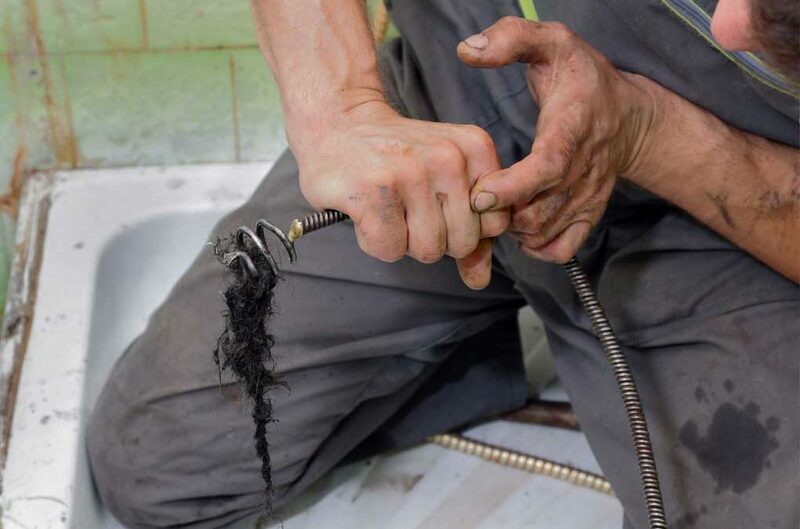 Rely on the plumbing and heating maintenance services of S.A.A.B. Plumbing and Heating to stay ahead of the seasons and be prepared for whatever weather New England throws your way.